President Muhammadu Buhari said the enormity of the billions stolen during the administration of his predecessor, Goodluck Jonathan, will be exposed when the loots are recovered, and returned to the national treasury soon. 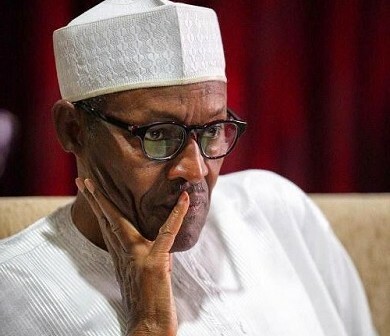 Buhari, in a statement by his special adviser on media and publicity, Mr Femi Adesina, was reacting to Peoples Democratic Party National Publicity Secretary Olisa Metuh’s 30 days appraisal of his administration. The presidential spokesperson faulted Metuh’s claim that Buhari’s men were conniving with bureaucrats to siphon money from the treasury. “This must be deja vu, as it was the pastime of the immediate past administration, and the enormity of the sleaze will be evident when stolen money, to the tune of billions of dollars, is recovered, and returned to the national treasury soon. “In the process of time, after all that is being planned by the current administration has matured, and bearing fruits, Nigerians will be able to determine who is serving them acceptably, and who has taken them for a ride. It is just a matter of time,” he said. He said Metuh and his masters could only rue the missed opportunities to make salutary impact on the lives of Nigerians. “they have a long road of regrets to travel,” the presidential aide added. He said Buhari was clearing the rots created by the PDP, especially during Jonathan’s government. He said there was absolutely no reason for the way PDP and Jonathan ran the affairs of the country. According to him, clearing the rots created by PDP in all sectors of the economy requires scrupulous and painstaking planning. “The Buhari administration is naturally contemplative because there was absolutely no rhyme or reason to the way PDP ran the country, particularly in the immediate past dispensation. That is why the Augean Stable is being cleaned now, and it requires scrupulous and painstaking planning. “Across all sectors, our national life was devalued, and it takes meticulousness and sure-footedness to repair all the breaches. This, the Buhari administration will deliver,” Adesina said.